Evergreen Raceway prepares for the 2018 King of The Green event slated for October 5th, 6th, 7th. Year three at Evergreen Raceway under the current management has proven to be a frustrating one. After multiple rainouts, racers and fans alike have spent an abundant amount of time idle, just waiting for the racing God’s to allow the fierce competitors to hit the track and give the fans some excitement. “The weather has effected every track in the area and we just can’t catch a break” says Promotor Jason Makarewicz. Makarewicz guarantee’s us that he remains focused and committed to making year three even better than the last. There are great things in the works for King of The Green. We have an unprecedented $5000 added to the modified purse through a sponsorship from Franzosa Trucking and Wanick Construction. This has allowed us to commit $500 to take the green flag with a full field of ground pounding Modifieds. 22 Modifieds will start the race that day. 20 cars will qualify through the day with an additional two spots for sponsor Provisionals. All other divisions will also see an increase in payouts with full fields. It doesn’t stop there. Race Director Jeff Owler has committed $100 to the best victory lane celebration of each day (after declared safe). In an effort to keep the cost down for both Tour Type Modified competitors, a six tire rule will be in effect for the weekend, meaning that the Tour Type Modified driver must qualify and race in the feature on the same set of Hoosier track tires (four tire minimum). Drivers will be allowed to change a maximum of two tires during the 150 lap Tour Type Modified main event sponsored by Franzosa Trucking and Wanick Construciton. Specifics too the procedure of the race will be released as we get closer to the event. All purses are based on a full field of 20 cars taking the green flag in the feature. If less than 20 cars take the green, the purse will be prorated. Pit admission for Saturday or Sunday is $50. Grandstand admission is $20 for Saturday and $25 for Sunday. Fans can purchase a special two day event grandstand pass for $40. As always, children 12 years of age and younger will be admitted into the grandstand area for free. All entrants will draw for heat race starting positions on race day. Twenty cars will start feature events (20 plus 2 sponsor provisionals for the Tour Modifieds), and if needed, consi races will be run. Drivers can take advantage of savings by pre-registering for the event. The pre-registration form is on the speedway website (www.evergreenracewaypark.com). In order to receive the discounted registration, it must be postmarked no later than September 30, 2018. If received afterward, the full registration fee must be paid. -NO Open ground fires-Please bring a burn barrel or other suitable container. -NO excessively loud noise-Be respectful of our neighbors! -Campers: Park in designated areas only. Campers should park to the far right of main parking area. Port-a-potties will be located by Grandstand admission booth. Haulers may only enter pit area on Friday evening (after practice)-if racing on Saturday, and Saturday evening (after Evergreen/Sport Modified feature)-if racing on Sunday. All haulers must be removed from pit area on Saturday-after the program is completed. Evergreen Raceway is located minutes from Hazleton, PA, in between routes 93 and 309. 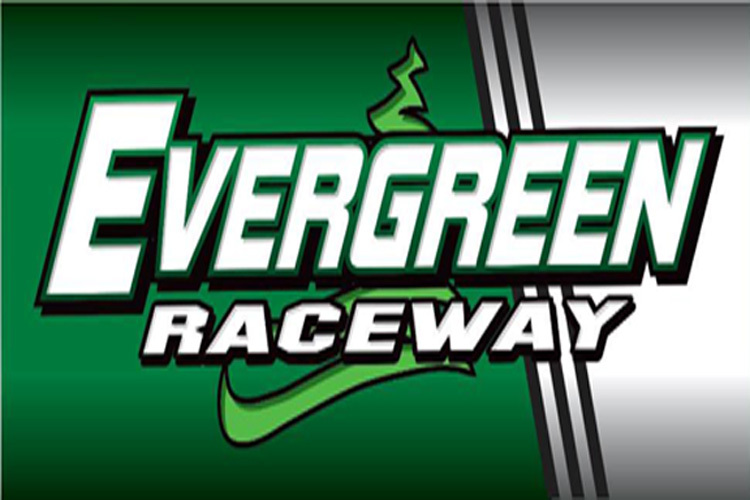 For more information regarding Evergreen Raceway, including the entire season schedule, directions and divisional payouts, please visit www.evergreenracewaypark.com and don’t forget to like their Facebook page as well. The weekend will start off with open practice on Friday October 5th. -The Pit gates will open at 12:00pm. $20 per person. -The grandstands will be free for the fans to come and watch. -The Kitchen will be open. Saturday October 6th will start our racing for the weekend. The divisions will include, Street Stock, Late Model, and Evergreen Modifieds. -Pits Open at 8:00am $50 per person. -Grandstands open at 10:00am. The price for admission will be $20. -Practice will start at 10:00am till two rounds are completed. Sunday October 7th will round out the weekend of events with the 4 cylinders, Factory Stocks, and Tour Type Modifieds. -Pits open at 10:00am. $50 per person. -Grandstands open at 12:30pm. Admission of $25 per person. -Practice will start at 12:30pm as well. Two rounds of practice.